"Japan Rail Pass" Good choice for visit Nozawa onsen - Travel Tips to Nozawa onsen Japan! Good choice for visit Nozawa onsen. The railway in Japan is internationally known for its 20 000 km length servicing the whole country, its punctuality and speed. Confidently travel all around the country with your JR Pass for the best price and discover its landscapes from a safe and comfortable mean of transportation. 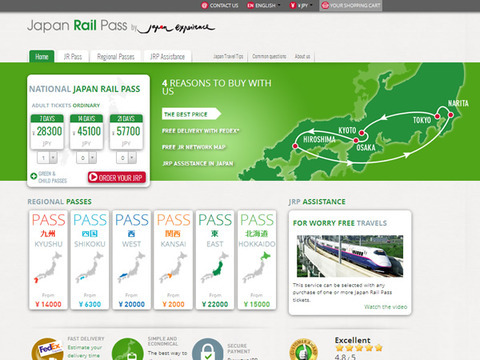 Get your Japan Rail Pass sent to you for free with a detailed map of the railway network and enjoy a comprehensive service on site thanks to JR Pass Assistance.